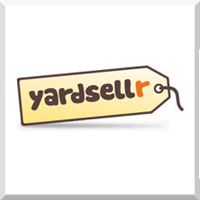 YardSellr, which launched in 2010 and charges no listing fees, came in seventh place on its debut in the Sellers Choice Awards. There are a lot of new sellers who report no sales and said they are waiting to see if YardSellr works for them. Many said it's easy to list on the site, but other sellers reported it was difficult to edit listings and called for new features and selling tools. There are no seller fees (the site charges buyer fees), but, according to respondents, you have to pay to promote your listings. Some said they did not like having to ship items before being paid. YardSellr has a marketing feature called "photon" that some say they enjoy, others called annoying. A number of sellers said it was difficult to search and navigate the site. One seller summed up their experience with YardSellr, "I have only had a few sales here but I have also not put a lot of effort on this site yet. I do not like that you cannot delete expired listings. The layout of the expired ones is really a lot of wasted space when trying to relist. The biggest drawback from me attempting to sell more on this site is the search capabilities within the site is very difficult for buyers. I have only had experience with the customer service as a buyer but they were great! It has a lot of potential to be a fantastic sales site if the search was improved." YardSellr earned its highest marks in ease of use (6.8) and its lowest marks in profitability (5.5). The absolute best site to sell on!!! Free to list & sell. One on one personal customer service. Immediate help & answers to any concerns &/or questions. One on one calls to help sellers improve listings & sell more. Perks including stickers, T-shirts, Photon$'s & more. Free advertising & promotion for your products. Kind, caring, professional staff. I could go on & on & on!!! Depending on what you have, it might be profitable. Jewelry, especially, seems to sell well. This site is the Bomb. Being a new company they are having their glitches. They are growing faster than they can keep up with. They answer every question within hours. They are not only professional but polite. Your item can be listed in 1 section or 5. They choose, which I would like seen changed. The best way to sell on Yardsellr is with Twitter. If you don't tweet you won't sell. They may be hooked up to Facebook but that is not where the sales generate from, in my opinion. No fees to seller. Wonderful customer service. I've made more sales on this site than ANY others I have used. Love Yardsellr! Awesome customer service, on every level. Love the Photon concept to buy @ a discount & reward customers! Low fees!!! Always striving to upgrade their features on website to help sellers. Love, love, love. Besides eBay, I have made MANY sales. Their staffs are very knowledgeable, polite and very helpful. I love how you can accumulate photon$ to save money on items you are interested in purchasing. I LOVE Yardsellr. Unfortunately, you have to relist or delete items one at a time, which is time consuming. Other than that, I am very pleased! A1 customer service and help. Great site to buy or sell and very very easy to use. Love that you can use facebook to advertise your items for sale. Fun, lucrative and a community. No scams. These people are eager to please! My sales have surprised me! I just load from my Etsy shop. I'm very pleased with my sales, and the staff is very responsive to questions. The site navigation is horrid, though, and I'm really not quite sure how people find my items, but it's obviously working! I have had several friends join me there already. I like that they send you a check directly. More selling sites need alternatives to Paypal. I just wish more people were aware of Yardsellr. If you sell new items and love Facebook, this site would be worth a try. It's easy to list and relist and the payments can be through check (pick this one) or PayPal. They even have an EBay and Etsy importer. Free for the seller too! People are friendly and so helpful. Customer service is great! I am so happy with this site. Just wish my sales would increase. I understand its a bad time for all. Not given up. You have so much to offer, with all the chat groups. People are so involved. I love it. YARDSELLER is great, but could use some more tools for sellers. One being the ability to change title or descriptions without making a new listing. Site is great but site needs tweaking. Like they don't have a revise ad button or ability to list in multiple quantity. It's a cool site but for it to be a contender for any site it needs more structure - it's kind of all over the place. The search isn't that great and it's not set up for a seasoned seller. A store front would be great and more seller tools. Yardsellr is a wonderful idea. More advertising dollars need to be spent to attract traffic outside of Facebook. Yardsellr could be the next big thing. Really like this website to sell on. No fees to the seller and the buyer pays the fees. I am very profitable and have gotten alot of exposure there. The only draw back is you get paid within 3 days of your sale and you have to ship out the item they bought. I had several items on yardseller but its been almost a year and I removed them. Nothing sold. However, I'm considering putting items on again but am just a little concerned about shipping the item before I get paid. Great site nothing negative to say here apart from relisting every so often that can become a little time consuming if you have several items. But love this site and its look, very good communication levels. Yardseller is great and is showing great promise, but as usual, growing pains are happening....when I email specific questions, they just respond with a generic answer instead of answering my questions! Nice site, but I just didn't get any sales. I think this is an up and comer. It seems to strive for improvement. Super easy to use listing form and site is very profitable to sell on. They do have some draw backs: their search is horrible! It is very hard to find items if you want to buy and the site has a lot of glitches. On the plus side, these owners are marketing genuises and communicate well with the sellers. The community is fun and very engaged in bringing in more traffic. Great for getting rid of cheaper items, but the search engine is poor at best. Not a serious contender for business owners, but great for individuals. OK, no listing commission. But have to relist all the time. Tired of doing it so quit using. When I first started listing on Yardsellr, I sold three items right away. I have tried their extra services since and found that they don't profit me. Nothing has sold since my first group of sales. I don't know if they set it up that way or not, to entice sellers to buy their services and sell nothing or what. I've tried a few times since with no luck, but I do see things I'd like to buy. I signed up because other sellers I know did, and now I'm perpetually harassed with messages about Photon dollars. If that's the business end potential buyers see, I don't want any part of it. Very few sales and lots of "lookers". Appears to be a site to sell misc items cheaply. More a social site since it is linked to Facebook. Not a site for serious buyers but for "lookers" instead. Photon program of points is a joke as they take away your points without notice and you loose out on being able to use them when making a purchase. Used as advertising for our own web pages but questionable as to its effectiveness and usefulness. We receive lots of "comments" and questions but almost no actual sales. No sales so far. I don't like that the home page isn't customizable based on your category preferences. I'm always seeing things that absolutely do not interest me when I log in. Told them that, but so far they haven't done anything about it. They do use Facebook for marketing so I suspect this site will grow over time. I set myself up and quickly cancelled because I did not like the fact they held on to the money so long before payment. I like venues with paypal that pay quickly. My comments relate directly to the style.ly portion of Yardsellr. Sell though was horrible, you pay to have your items featured but they don't show up anywhere, the only customer service help you get is if you ask publicly on Facebook (I guess they want to look good to other potential sellers). The only way I was able to get a refund on something they screwed up was by asking about in publicly on Facebook - their answer there was completely different than their private email to me. Seems shady. They expect us to ship on faith of payment and meanwhile making money interest wise on what's rightfully ours. Yardsellr's communication to sellers is rather spammy. Not a fan of the Photons gimmick nor the fact that buyers are charged a fee which makes them less likely to buy. I have noticed most Yarsellr customers are looking for inexpensive items so it is not a good venue for antiques or anything of quality. Despite listing several pieces I never sold anything in this venue, just got requests from folks asking for Photons. Yardsellr does a horrible job of screening sellers for fraud artists. Yardsellr's system also forces sellers to be bombarded with idiotic Facebook comments that may boost visibility but not sales. As a result, Yardsellr is the most annoying marketplace for sellers I've ever encountered, and I expect it to go belly up as soon as its venture capital runs out.